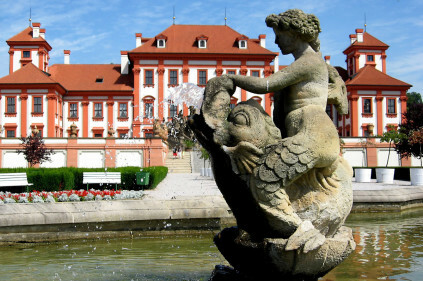 Troja Palace is a 17th-century baroque structure built for the Sternberg family and filled with sculptures and frescoes. 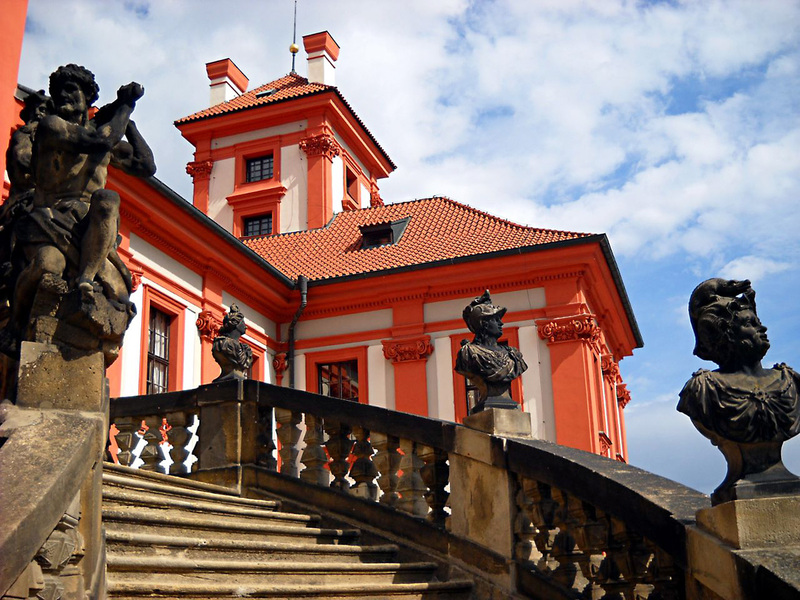 It is considered of the most important architectural works of the beginning of Late Baroque in Central Europe. 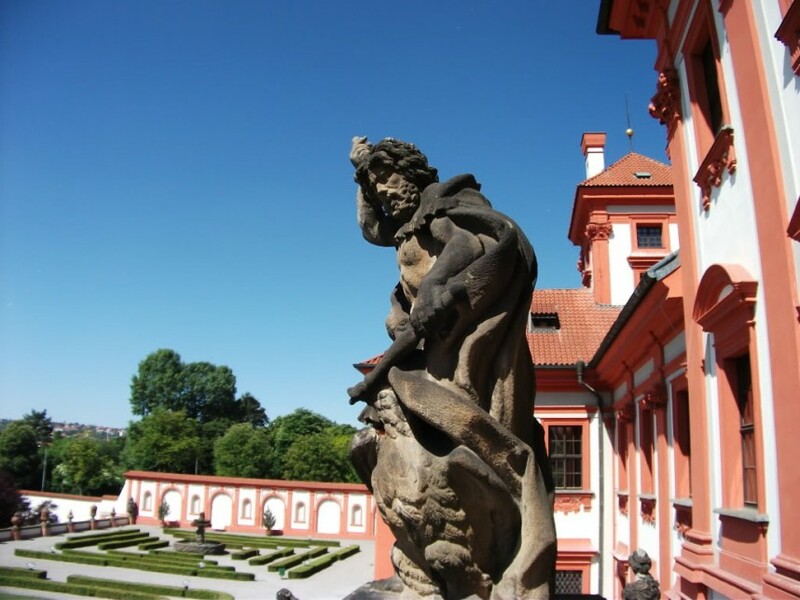 The Palace is situated in the part of Prague called Troja, surrounded by beautiful gardens and the Vltava River. 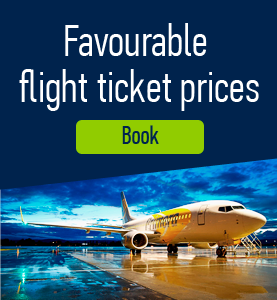 It is called after the impressive garden staircase of the villa with statues depicting the battle between Olympic gods and the Titans. People connected in their mind the battle with the conquest of Troy. Also the reconstruction of Troja Palace took 10 yeas as well as the siege of Troy. The reconstruction started in 1678 and was stopped by a plague epidemic in 1685. The second phase of the reconstruction focused on the decorations of the interiors. The architect of the structure, Jean Baptista Mathey, was inspired by great villas in Italy and built one of the best summer houses to the north of Italy. 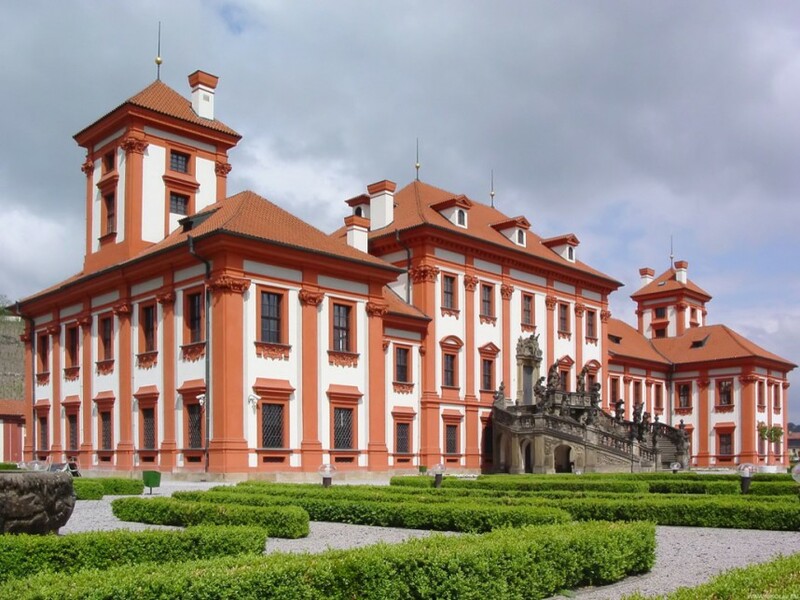 The owner of the Palace was Count Sternberg, a member of a leading Bohemia aristocratic family. 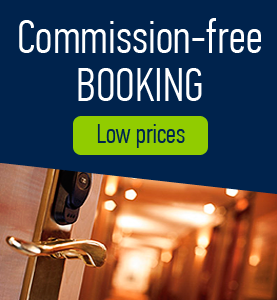 The place has changed many owners. One of them was even Maria Theresa. Alfred, Prince of Windischgratz, renewed the vine years in Troja. Troja Palace then had large wine cellars. 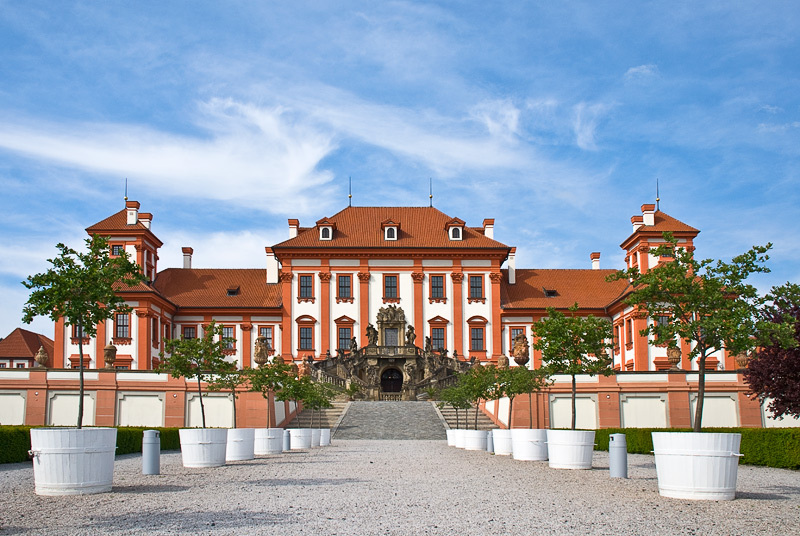 It’s said that there used to be a huge cask of wine, the second largest in Bohemia. The last private owner was Jan Svoboda who gave the building, decayed at that time, to the state. The place was renovated and, since 1989, it is used by the City Gallery Prague. The gallery placed there collections of paintings, early printed books and maps of Far East. 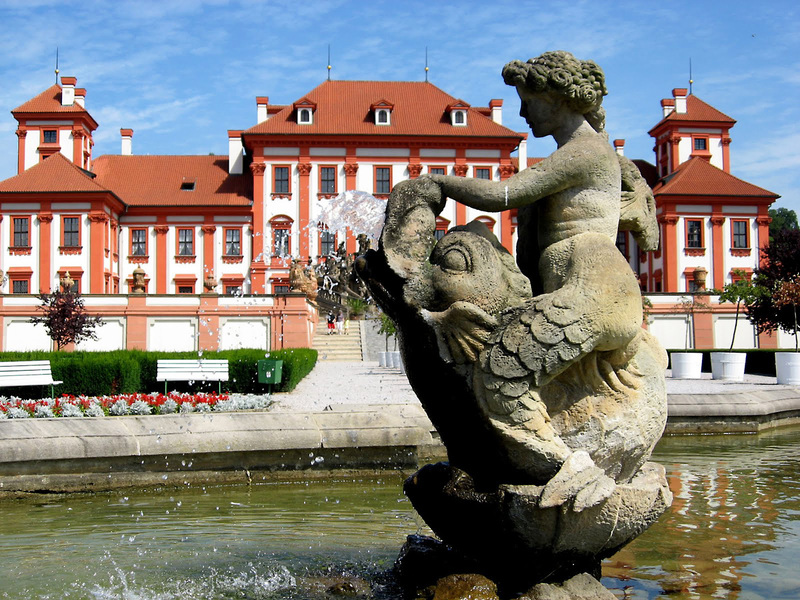 The most remarkable things about Troja Palace are the garden staircase and the decoration of the interior. The main garden staircase leads from the garden to the first floor. 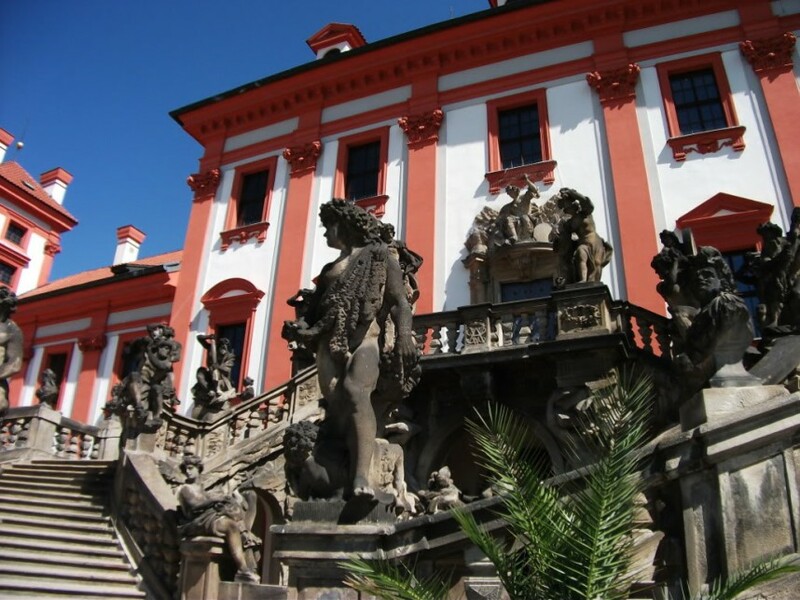 The terrace is supported by two giants and the staircase is decorated with statues representing heroes of Greek mythology. 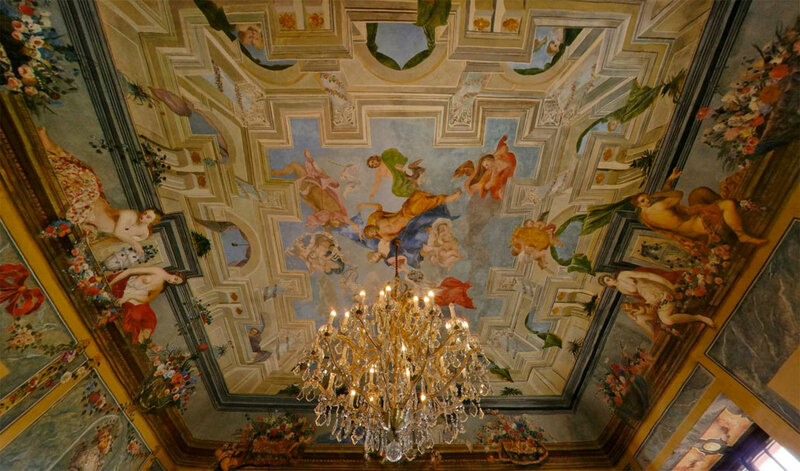 The interior of the Grand Hall is adorned with fresco by Abraham Godyn. The frescos are considered to be one of the best examples of Baroque painting.